After learning about my failure to get opera tickets this morning, Amanda jumped online and managed to snag a pair of tickets to the ballet. 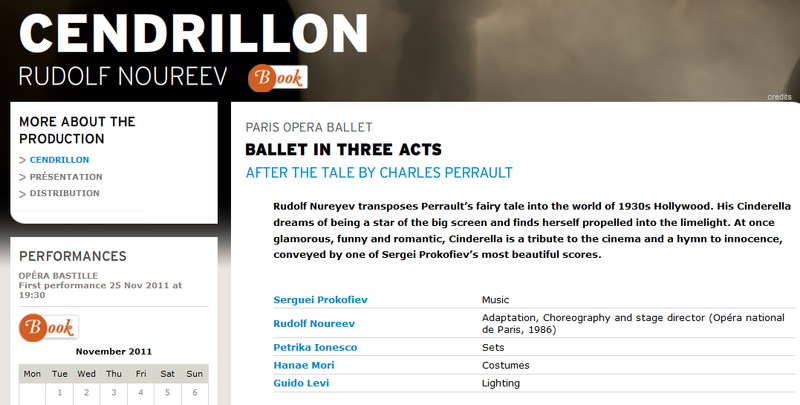 So instead of seeing La Cenerentola (Rossini’s operatic take on the Cinderella story), we’ll be seeing Cendrillon (Prokofiev’s balletic portrayal of Cinderella) performed by the Paris Opera Ballet. Yay!!! Needless to say, I’m ecstatic. It’s almost as if I had a fairy godmother (“almost” because nobody sang bibbity-bobbity-boo, and I’m still feeling the effects of that lost hour of sleep between 3am-4am).